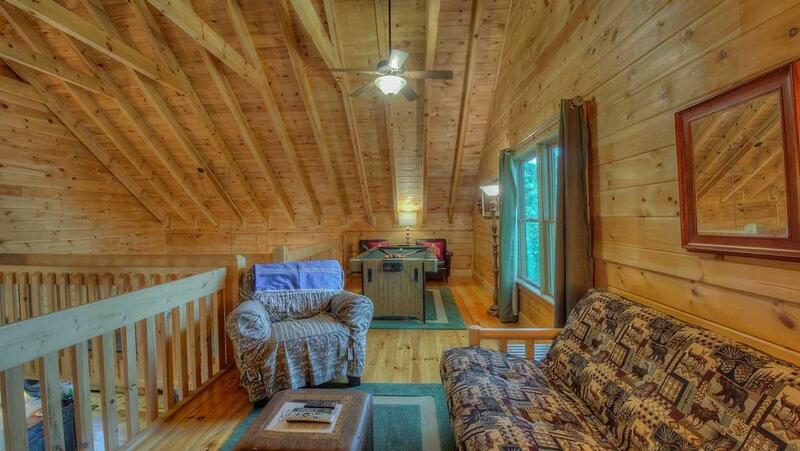 Lake View Retreat is a serene cabin built into the side of a mountain in the Aska Adventure Area. 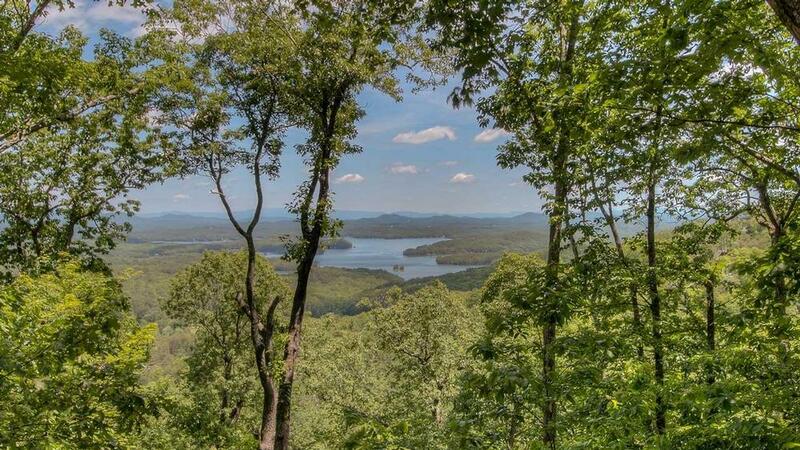 It has a breathtaking view of Lake Blue Ridge framed out by a canopy of trees with a backdrop of rolling Blue Ridge mountains in the distance. This is private home and a calming spot that soothes the spirit allowing you to tap back into the essence of living. 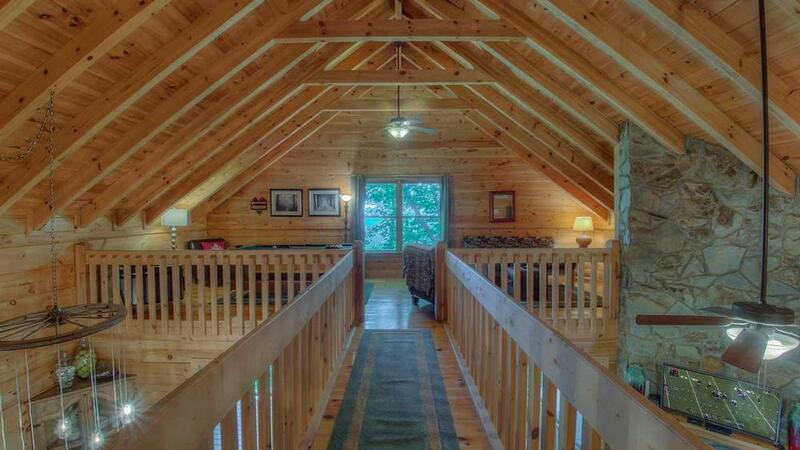 Welcome to Lake View Retreat, a charming and quaint two bedroom cottage perfect for romance or reconnecting with your best friends. The two story living area has rich leather sofas and all furnishings are upscale in touch and designed for comfort in every way. There is a bedroom on each floor for extra privacy. 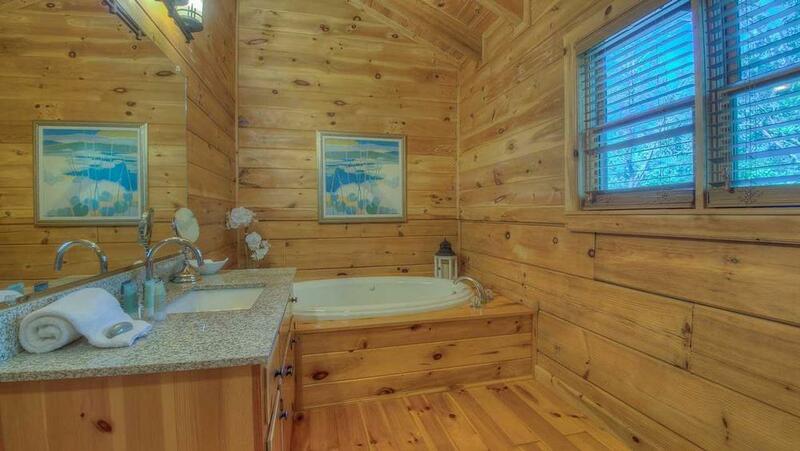 The master bathroom is very spacious and each bedroom has its own bathroom. An additional loft offers a futon, couple of bean bags and makes for an ideal place to lounge with a favorite book or to take in the latest game on the large Plasma TV. 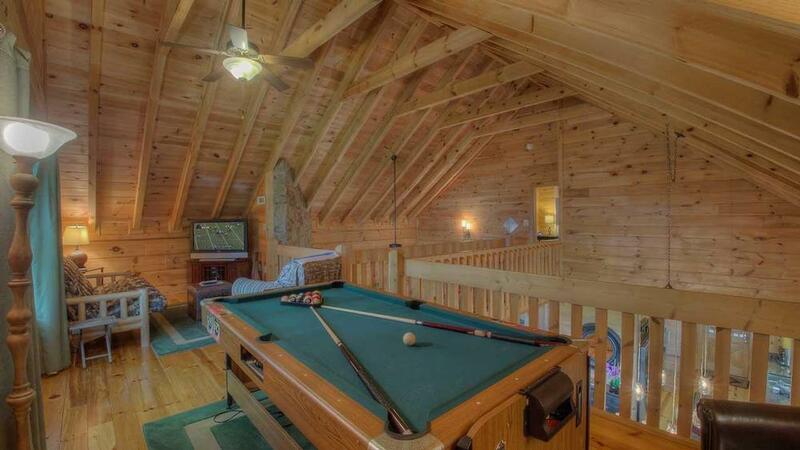 A combination billiards and air hockey table is also available up in the loft area and will bring up the energy level. Perhaps your day will include an outdoor adventure as this home is close to great hiking trails leading you up toward the mountains. A short drive away is Lake Blue Ridge and Toccoa river access for your boating and kayaking explorations. Come back home and get back to relaxing by having a casual dinner at the outdoor dining table located on the ample deck. 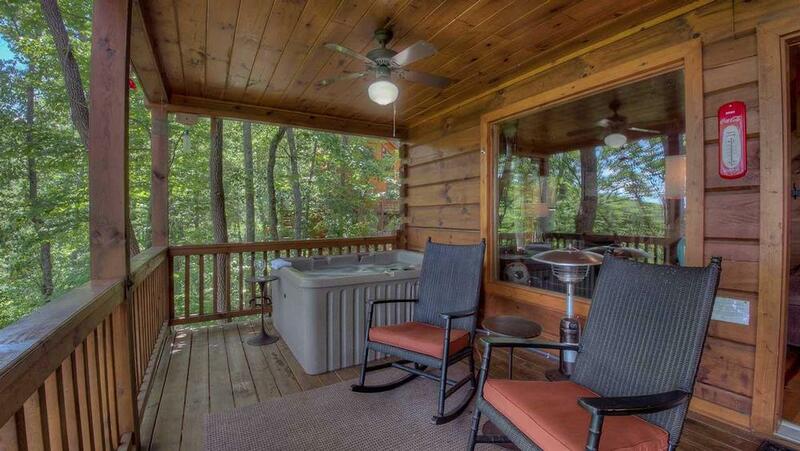 This is also the perfect spot to take in the views, have a cozy soak in the 2 to 3 person hot tub and toast to this fulfilling vacation. 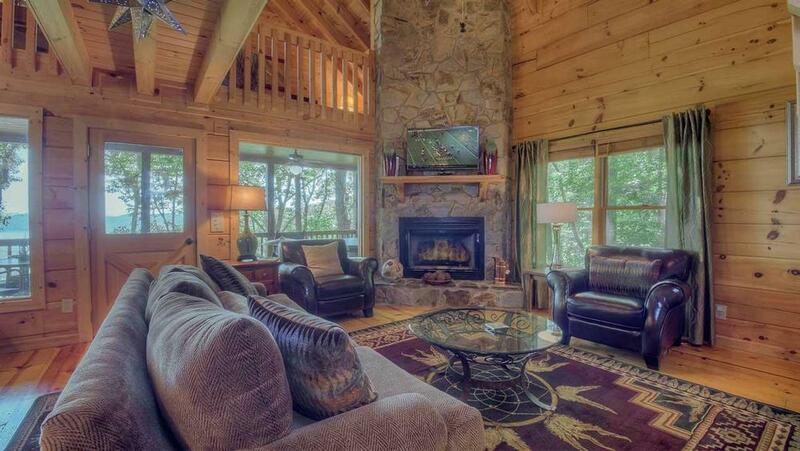 Let Lake View Retreat reignite your romance or reunite you with friends closest to your heart. 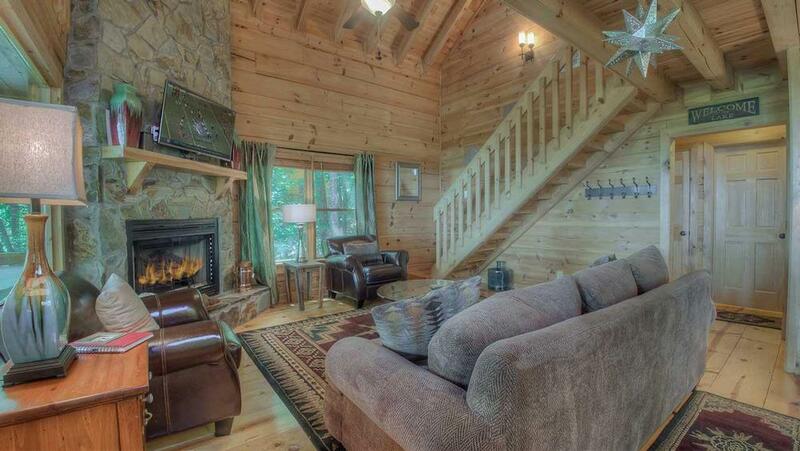 This quintessential mountain cabin is a quiet place to fall in love with and focus on the essence of life. 03/19 - We enjoyed the view and the hot tub. 02/19 - The view was nice. 12/18 - The cabin had just about everything needed for our Thanksgiving Dinner. The view from the back porch was mesmerizing! Inside was warm and comfortable! Couldn’t ask for more! We had a problem with the sink leaking and the repair person came out right away! Easily fixed and Thanksgiving dinner was on its way again. Thank you for the Bar suggestion to watch the Georgia /Georgia Tech game! Everything was wonderful! 10/18 - When I walked in the door I was amazed. The cabin was delightful and the view was amazing. An enjoyable experience. The cabin was very clean and nicely set up when we arrived. The booking agent was very helpful and polite. 10/18 - Comfortable homes, close to town and attractions, great view. Great job. Thanks. 10/18 - The view was spectacular. I spent most of my time appreciating God's work. I had a good experience working with the staff at Escape to Blue Ridge. 07/18 - It was beautiful and the back porch with the hot tub and breathtaking view of the mountains and lake was like heaven! The company was very professional and when we had any question they always called right back. 05/18 - It was as perfect as humans can make something. We spent one whole day sitting on the porch. Never even got dressed. Great company. The view was remarkable! 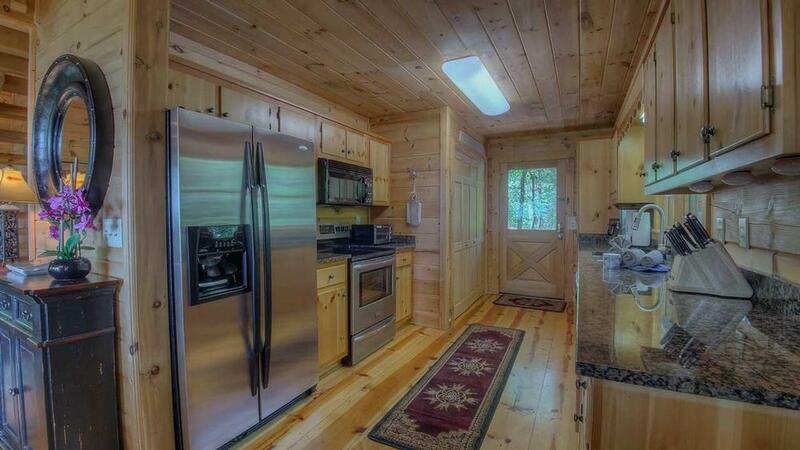 Escape to Blue Ridge cabins make guests feel like they're living in luxury! 2/18 - It was easy to access, clean, and private. Honestly, everything was lovely. Several friends asked for info and I posted links on my facebook! 1/18 - Wonderful view! Very impressed! 10/17- The view, the view, the view!! The conveniences in the kitchen--it has more gadgets and things to work with than mine at home. Sitting on the porch. The proximity to a fun town to shop and eat. Very professional and efficient. Very amiable on the phone and terrific customer service. 09/17- Enjoyed the view and the silence. The staff are very efficient and always respond to help you, congratulations for your services. 09/17- The view was phenomenal. We enjoyed the hot tub. Your company was excellent. Open on Sunday to take calls and find us accommodation when we evacuated for Hurricane Irma. 09/17- The home was well appointed and very comfortable. The views were great from the back deck. I would certainly rent it again. I had a very good first impression of the company. 07/17- The cabin was breathtaking and one of the most beautiful places I've ever been. It was so wonderful after a day out doing things to come home to such a beautiful relaxing and gorgeous home. The staff are wonderful and even through we only talked briefly they were extremely helpful and great to work with. 07/17- The cabin was well stocked and very clean. It was so nice to deal with such friendly and helpful people! 07/17- The view from the balcony was exceptional. My wife thoroughly enjoyed watching the birds. We enjoyed all the amenities. The kitchen was stocked very well, the home was very clean and the location was perfect for us. We would go back again and recommend it to friends and family. The company was very friendly and knowledgeable. Jeff answered any questions we had and made the booking easy. 06/17- The view of the lake from the porch was wonderful! The cabin is decorated VERY nicely...Loved it! The wagon wheel with mason jars was so BEAUTIFUL! The kitchen was well stocked with pots and pans etc., very nice! The cabin is in the perfect spot....WE ENJOYED IT VERY MUCH! The phone reservation takers, were SO nice and friendly....And very helpful and patient!!! They were GREAT!!!! 06/17- Great view, very good service. 04/17- Nicely maintained and very neat. Great layout and a fantastic view. Met all of my needs and wants. Enjoyed my experience with the company. Will definitely do it again. 04/17- The view from the balcony was amazing all the time but at night it just came alive with all the twinkling lights. Everything inside the cabin, as well as the cabin itself, was up-to-date, well cared for and absolutely beautiful. The staff were very helpful, extremely polite on the telephone. The only person we met was the Maintenance man. He was very professional and quickly fixed our problem, all while he apologized for bothering us. Really like this company. 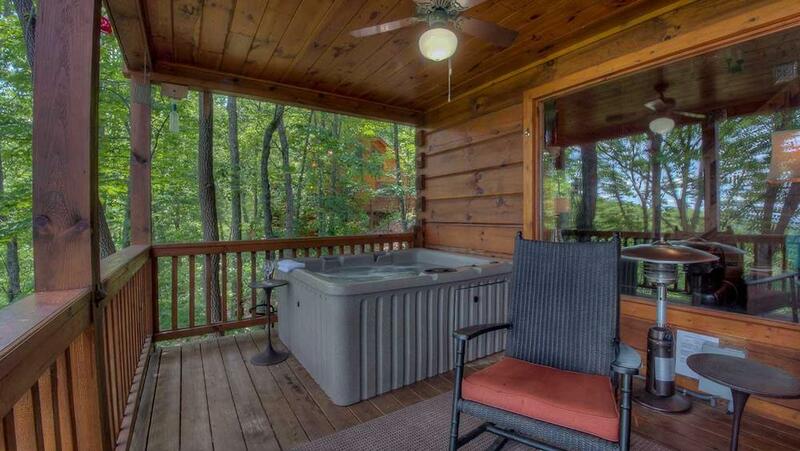 03/17- My favorite features of the home were the hot tub, the view, the gas fire, the internet and the TV's. I loved the company, especially the agents who assisted when I called. Gabby was great and helped me get connected to the Internet; Mike was great and assisted me with the hot tub. Thanks. 02/17- Everything was very clean, modern and put together well. It was cozy and comfortable. Overall zero complaints. The company is great. Every time I called I got an answer and the staff was friendly, helpful and prompt. 01/17- Well stocked, comfortable bedding, shower and bathroom availability great. Extra space in loft for dividing up if needed. Customer service from booking through entire experience was great. 03/17- We loved the view! 01/17- The cabin was very clean and well maintained. The views were wonderful. Professional company. 12/16- We enjoyed the view of the lake. 11/16- The view is terrific. It was well stocked with nice dishes etc. Very professional company and easy to work with. 11/16- The home is incredible and the view fantastic! I absolutely love your company! 10/16- To begin with the location of the home was a surprise. We were so close to Blue Ridge travel time wise, but we felt as if we were worlds away when we were at the house. 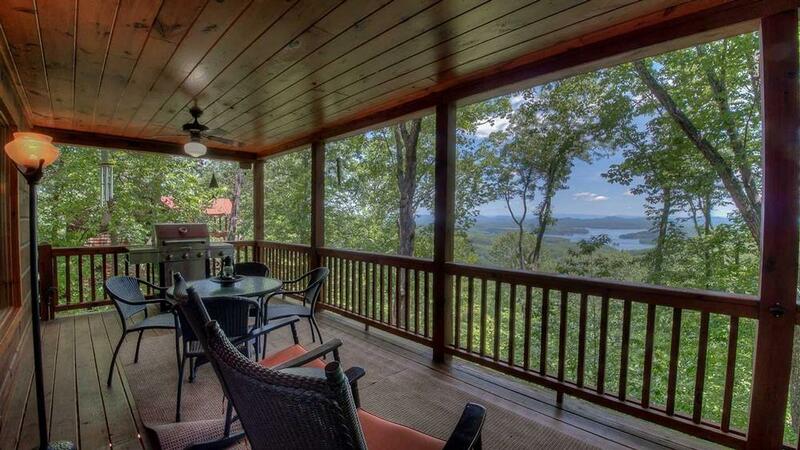 The view overlooking the lake is extraordinary. And we spent most of our time on the deck looking at the view. The amenities that the house offered were very pleasant. We enjoyed the hot tub and the use of the grill and eating all of our meals out on the deck. Inside the house is really comfortable and we felt right at home. This will be the second year that we have visited Blue Ridge using the accommodations through escape to Blue Ridge. I really like the professionalism of the company and if there was any issue that needed to be discussed it was as simple as making a phone call and any issue would be resolved. I have recommended your company, and I plan on returning to Blue Ridge through Escape to Blue Ridge. 10/16- We loved the view from the porch, the layout and the open feeling with the high ceilings. Beautifully appointed, not overdone. Fabulous , big jetted tub. 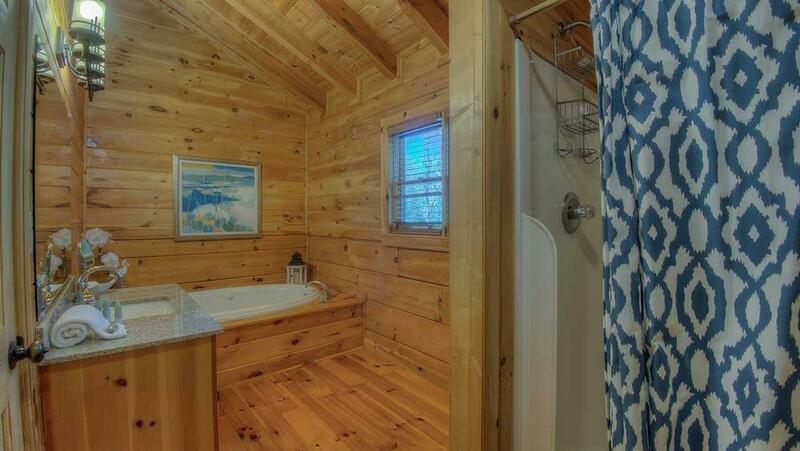 Big bathroom upstairs. Would definitely return! Very clean. Loved the chandelier. Would definitely recommend this company. 08/16- Amazing view, beautiful home. 08/16- View was breathtaking! The home was beautifully decorated, very comfortable, you felt like you were at home but on vacation. Very pleased with everything, we'll definitely be back. I've used your company in the past and will use you for all of my future rental needs. You guys are terrific! Thank you, thank you, thank you! 07/16- the view is fantastic!!!!!! 06/16- View of the lake is fantastic. It's even better than the picture on your site. 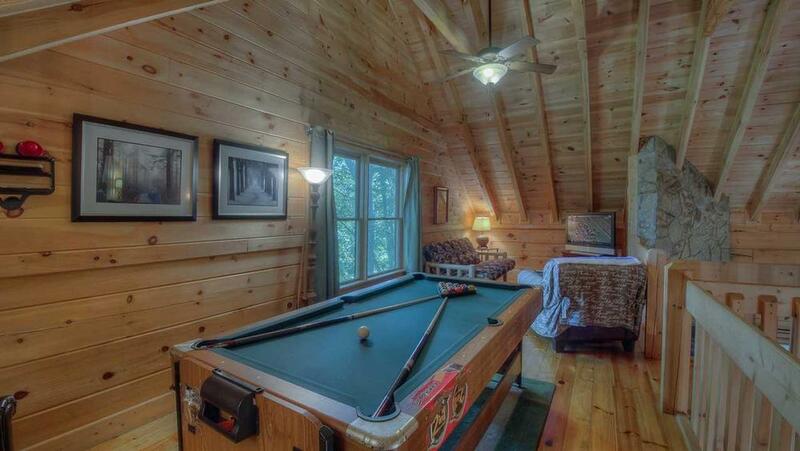 Cabin is fully equipped to say the least. For instance, in addition to the usual dishes, silverware, etc., there is even a coffee grinder and 2 different coffee makers! Would appreciate a hair dryer. Very professional and efficient. We'll see you again. 04/16- Everything was perfect! The instructions around the house to use the spa, bbq, tv made the stay easier. Also the hiking trail access to deep gap. We were very happy ! 03/16- Loved the view, the decor of the home, the garden tub in the master restroom, how soft the mattress was. The company is very professional and I will definitely be staying in the cabins again. 02/16- We loved this home, the game room was perfect for the kids. The distance to Blue Ridge was also fabulous yet still up the hill. Great view!! 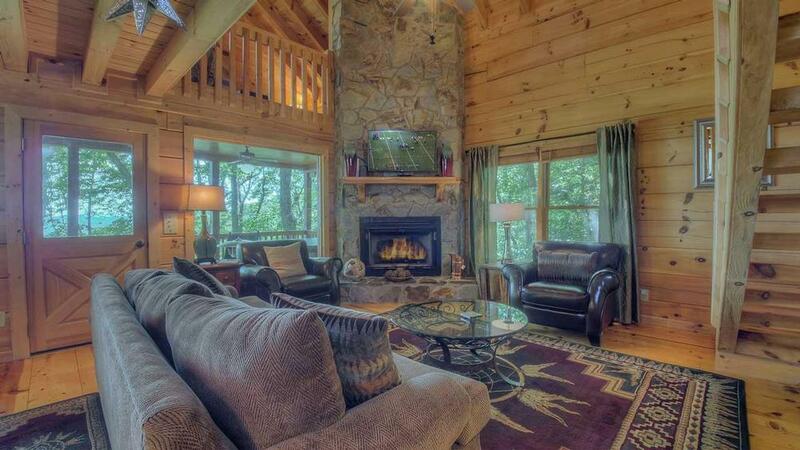 The cabin was great for our need to just get away for a bit. Thank you! We love Escape to Blue Ridge. We've used you all before and even recommended you to our friends. 01/16- The view from Lakeview Lodge was beautiful. The stars were bright and the lights around the lake were entrancing. During the day the view of the lake was beautiful. Also, the hot water was wonderful. I thought your staff was very professional and courteous. Your arrangements made for an easy arrival and departure. 01/16- The home was very neat and cozy. I especially enjoyed the view. The company is very professional and the staff was friendly. I came here for the first time in February for my birthday. We came back in December for my husband's birthday. We will definitely be back. 11/15- The View was amazing! The master bed was so so comfortable! i love that they had dog bowls for the dog! very nice layout. (wish they had a fire pit Outside) loved the mason jar chandelier! very comfortable and well equipped. 11/15- Great location with a fantastic view. Wonderful floor-plan/design with all the amenities for a very comfortable stay. Great company with a very helpful staff that thinks of everything to make your stay a wonderful, memorable experience. 11/15- Amazing view from deck! 10/15- The view and the quiet were wonderful! 10/15- The view is absolutely beautiful!!! Excellent customer service...a 5 star experience for my mother and me. We had the best time and made some wonderful memories!! 09/15- The view! 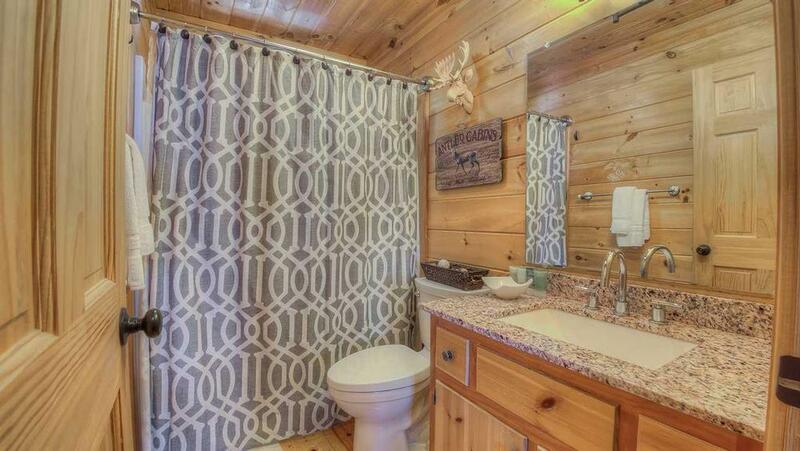 The cabin was adorable and clean. I didn't have to kill one spider. The home was decorated beautifully. A very professional company. They went very far out of their way to make sure we were comfortable and happy. 08/15- The home and view was gorgeous. 07/15- It may be a simple thing, but I liked that their were labels at all the light switches to let you know which one controlled what. The kids loved the upstairs with the air hockey table. Solid company! The electricity had gone out for about 2.5 hours. Even though the first rep failed to call back, the second person did his best to explain the situation. He called back when he said he would and gave logical explanations as to what was occurring. He even apologized for the first rep not following thru. This made all the difference in the world. 06/15- We liked: the seclusion, the view, the coziness. Met our needs. Love that we can bring our dogs. Fair price for what you get! 04/15- Senic view was very nice! 03/15- Favorites: large pane glass windows facing the lake which i stared out the entire time. Great weekend getaway. 11/14- The view from the deck was incredible. It felt like we were so far from home. It was an amazing place. 10/14- The beautiful view of the lake! First rate company. We had some concerns with the gas fireplace not lighting and the hot tub continually kicking the circuit breaker. Greg came out first thing the next morning and took care of everything. 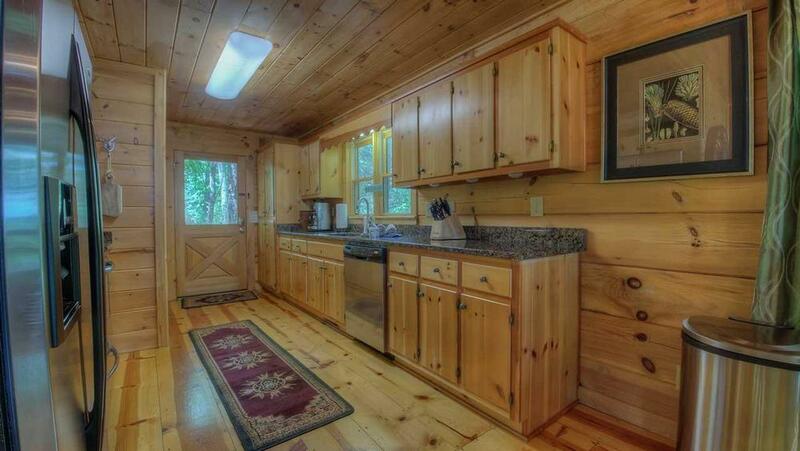 The cabin was very clean and well stocked with linen, towels and basic paper goods. Great experience. This is our third visit to the area and we have been very pleased with Escape to Blue Ridge. 10/14- The view was incredible and our favorite! I was impressed by your friendliness on the phone as well as your responsiveness when our oven went out. I would have appreciated someone figuring out that the grill was in terrible shape and the oven didn't work before we got there as both were quite an inconvenience to a 'foodie family' who planned to cook and expected both in working order. That said, you couldn't have been more responsive when we called and had a new oven installed on a Saturday. 10/14- the view was amazing! 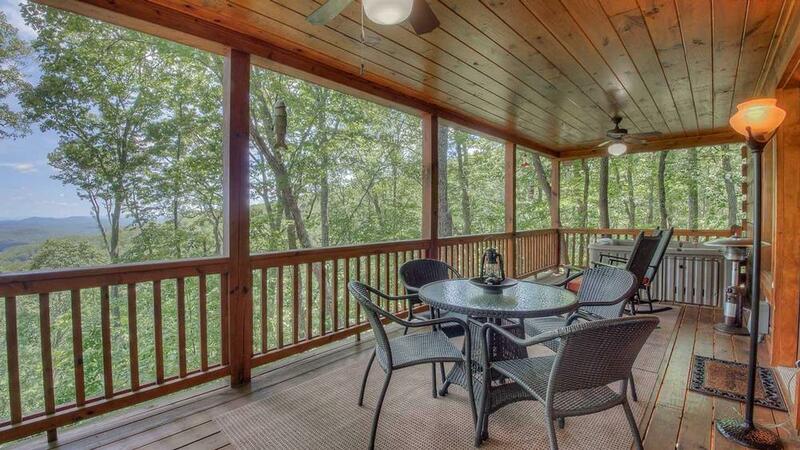 09/14- Lake View Retreat has a great deck with the amazing lake view and loved the game room. Described in website exactly as it is. 08/14- The amazing view, coziness, and comfort. 08/14- The deck and view of the lake were awesome. We were nervous about the narrow road leading to the cabin. We did come face to face with another car but they were kind and moved over for us. 08/14- The deck was my favorite feature. Very nice service and glad to have chosen you for my family escape!